POOP 911 cleans up dog and cat waste in the following cities of Baltimore County. Maryland: Cockeysville, Freeland, Glyndon, Hunt Valley, Lutherville, Timonium, Maryland Line, Monkton, Owings Mills, Parkton, Phoenix, Reisterstown, Sparks Glencoe, Stevenson, Towson, Upperco, Woodstock. We all love our four legged friends, but we do not love the Poop that is left behind. Let POOP 911 be your answer! Here at POOP 911 your dog or cat’s waste is our #1 priority. Through our completely automated billing process you will not be billed until your yard or litter box is waste free. Wouldn’t it be great to have a green smell free yard that your family and friends can enjoy without the hassle of the trash bag and shovel? We offer weekley, bi-weekly, and monthly service to fit your yards needs. With us you will not have to worry about telling your back yard cookout guest to watch their step. Call us at 1-877-POOP-911 today for a poop free yard. Your satisfaction is guaranteed or your next waste removal service is completely FREE! POOP 911 Dog & Cat Poop Removal Service in the Northern Maryland Area. POOP 911 scoops pet waste in the following counties and cities of Northern Maryland: Columbia, Frederick, Westminster, Carrol, Harford, Howard, Montgomery, Finksburg, Hampstead, Manchester, New Windsor, Taneytown, Sykesville, Adamstown, Braddock Heights, Buckeystown, Ijamsville, Jefferson, Keymar, Ladiesburg, Libertytown, Middletown, Monrovia, Mount Airy, New Market, Rocky Ridge, Union Bridge, Walkersville, Woodsboro, White Hall, Clarksville, Cooksville, Dayton, Ellicott City, Glenelg, Glenwood, Lisbon, Marriottsville, West Friendship, Woodbine, and Damascus. Are you tired of telling your guest to watch their step? Has your neighbor complained about the odor coming from your yard? POOP 911 pet waste removal service is your answer. We offer weekly, bi-weekly, and even monthly scooping services so you can customize your service to fit your yards needs. Through our fully automated billing program you will not be charged unless your yard is poop free. Put away that shovel and garbage bag. Call POOP 911 today at 1-877-POOP-911 so you to can experience a green waste free yard. Your satisfaction is guaranteed or your next scooping is absolutely FREE! Serving Anne Arundel County (from Annapolis mall and south), Calvert County, Charles County and St. Mary's County. We are southern Marylands premier pet waste removal service. A dependable, friendly and professional company you'll enjoy leaving your dogs "business" too. Offering weekly or custom schedules - your choice. No contracts to sign or long term commitments. We also offer one time only cleanups. You love your dog's, but the last thing you want to think about after a grueling day's work is cleaning up the "gifts" that your furry friends have left in your yard. It's not just unsightly, it's also a potential health risk to you and your pets. Disinfected tools for every job. Discounts for senior citizens, foster and assistance dogs. Southern Maryland Pet Waste Removal Service proudly gives back to the community by volunteering our services to various local animal organizations and events. Enjoy the time spent with your furry friends and leave the dirty work to us. You'll be glad you did. Call today for a very quick pet poop cleanup quote at your home or corporate property: (301.980.3137). We come to your house or business and clean up your pets' waste. We sanitize our shoes and equipment. We would never contaminate your yard with other pets' waste. 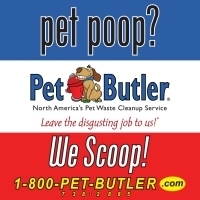 Let us do the clean up after your dog and you'll never need the pooper scooper. Our pet waste removal service needs no contracts! We offer reasonable prices. Call us today to get a quote. The Barking Cat (YES, they service DOGS of course) accept Visa, Matercard, Discover and American Express. There are no contracts to concern yourself with to receive ongoing dog poop cleaning services and you can chose between weekly, every other week or even once a month clean ups at your home. They leave a note on service day as well as a treat for your pups! We are a locally owned professional pet waste removal, routine dog walking, & pet visit service! We proudly serve pet owners in Frederick Adamstown Urbana Mount Airy Brunswick Jefferson Lovettsville Walkersville Spring Ridge Middletown Boonsboro & More! 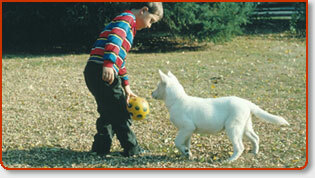 Our professional pet care services in Frederick County, Maryland are affordable & guarantee to save you time & energy! Hours of Operation: Monday–Friday: 9:00 a.m.–3:00 p.m. Featuring $20 off with 5 paid visits (please call to verify if they are currently running this promotion). They will visit your property and pick up dog poop and make sure it is properly disposed of in your home trash can. Whether it is your backyard, an apartment complex, a public dog park, they go wherever dogs "go". Their cleaners are available on either a weekly or twice-weekly basis depending on how many canines you have on the premises. They even provide Doggie Concierge service for your backyard and other party events. Now your dog can join in on the fun without everyone stepping in what they leave behind. We do large jobs for events and also provide services on an as-needed basis, so contact us for more about our in-home pet services. You can also incorporate dog walking and/or pet sitting services from this company - hence the business name: We Scoop-N-Walk. Pet Poo Patrol is a family owned and operated business in Bowie, Laurel MD. Since opening we've treated every customer like they are a part of our family. We offer many pet services such as dog walking, pooper scooping and soon we will offer dog day care services. Questions? Please call us at 443) 470-9551 or email them. The forms of payment accepted are credit, debit and cash we do not accept checks. Prices can be viewed at the website and an online form can be used to book a cleaning at your home or dog friendly apartment complex. Business Hours: Monday - Friday 11am to 7:30pm. Saturday - 11am to 7pm. Sunday - Closed. Please feel free to direct question to 443 470 9551 if you would like to ask any type of questions regarding care of your cats and dogs in the Bowie, Maryland area. 410.456.5642. Maryland: Anne Arundel County, Baltimore County, Baltimore Metro, Carroll County, Harford And Howard County, Maryland. "Our Business Is Picking Up". Payment online now available for ongoing service clients through the website. Member of APAWS. Worth noting, this company doesn't just scoop up after your canine companions routinely, they also can deal with the waste that deers leave behind in your yard as well. Call them to discuss your circumstances with the experts. Over the years (company started in 2001) Scoopers has maintained it’s customers due to hard work and caring about the job done well. Scoopers is a full fledged, full time business for its owners and they take every yard, every pet and every customer seriously and with honor to be apart of their dogs care. The APAWS organization considers Scoopers to be a Master level Pooper Scooper company. 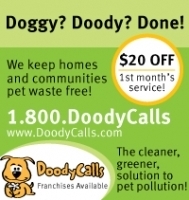 Doody Calls Provides Dog Waste Cleanup For Canine Owners To The Areas Of: Howard County Southern Carroll County, And Anne Arundel County, Maryland. The way DoodyCalls Pet Waste Removal service works is pretty simple: A uniformed, friendly, and insured dog scooping technician will arrive at your residence, enter the backyard, pick up all the dog waste, and leave a door hanger on your door when the job is complete. There are no contracts, and you will never need to clean up after your canine companions again! Give us a try or learn more about why we put smiles on dog owners faces every day. We understand that we must all work together to keep our environment clean. We truly are experts at what we "doo." with dog doo. It's our life here at DoodyCalls. We have a 100% satisfaction guarantee for the pet care services we provide our valued clients, we believe in keeping our customers happy and we greatly appreciate your business. Poop scooping Montgomery County Howard County & NW Prince Georges County. Pet Butler provides professional level dog poop cleaning services to the following Maryland cities: Silver Spring Takoma Park Rockville Bethesda Chevy Chase Potomac Gaithersburg Montgomery Village Germantown Boyds Damascus Olney Wheaton Kensington Brookeville Laytonsville Aspen Hill Ashton Sandy Spring Burtonsville Clarksburg Columbia Laurel Elkridge Savage Clarksville Dayton Fulton Glenelg Highland Scaggsville Ellicott City Catonsville, MD and many others. Pet Waste Removal Services In Montgomery, Prince Georges and Howard Counties, Northern Virginia, and the District of Columbia. Dog Waste Removal Services by Scoopy Doo for Single Family Homes, Condominium and Homeowner Associations, Cooperatives, PUDS, City and County Parks, Shopping Centers, Veterinarians and Dog Boarding Facilities. Common Area Pet Stations Installed and Maintained. Give us a call with all your overwhelming pet poop concerns...we would love to here about them and come right over to rid you of the offense. Scoopy Doo of Maryland focuses on providing the finest professional pet waste removal service to our customers through extensive training of our office and field employees. Our goal is to enhance and maintain the environmental quality of residential, commercial and community common area green space to maximize user enjoyment without the feeling ever that pet waste is encroaching on any of the human senses. A clean environment is our ultimate goal and you can be sure it is something we take serious from morning to the end of each day. Professional Dog Poop Removal Services in Maryland? Yes! Sick and tired of arguing over who’s turn it is to “don the glove”, pick up a shovel and head out into the backyard poop mines? Save your family the argument each time the conversation moves into the direction of which family member is going to be this weeks delegate for performing the nasty chore of picking up after your dogs poop. There are now several companies to choose from in your area that I have included here for your convenience that provide pooper scooper services to residential and commercial properties in Maryland. These Maryland pooper scooper (a.k.a. dog waste removal) companies will come to your small or large property and remove all those nasty unmentionables (dog poop) that have been plaguing the natural beauty and appearance of your home and garden. Hey, set up the badmiton net, call over the friends and family and even enjoy wrestling with your dogs. It’s a reassuring feeling knowing that you have hired a professional pooper scooper to take care of all your pets dog poop concerns on a routine basis so you and your family members can allocate your time to more fun and meaningful things to do. This unique pet service really makes for a nice gift (gift certificate) for family and friends that also own dogs but find themselves likewise fighting a loosing battle to maintain a poop free lawn for their pets and family. Either buy them a gift certificate from one of these pooper scoopers in Maine listed here, or consider “tuning them onto” this website so they can learn more about dog waste removal as a great dog ownership problem solver.